The press conference was at times emotional, at times combative, as Swallow repeated the refrain that while politics and the media were against him, his resignation wasn’t motivated by any special deals but by consideration of others. “I guess at the end of the day I had to choose my family and my office over myself personally,” Swallow said. Swallow said his foes had tried him in the press and that he had been targeted by political forces with an agenda, especially the House Investigative Committee. He didn’t speak much about the “little speck,” though since taking office, Swallow has been plagued by allegations of wrongdoing. 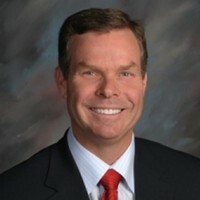 City Weekly first reported on Swallow in May 2012, during his run for attorney general, when he told two telemarketing-business owners that, if elected, his office would take over the Utah Division of Consumer Protection, which investigates consumer complaints and has hundreds of thousands of dollars in fines against Utah telemarketing and online-business-opportunity companies. Swallow's campaign received thousands in donations from companies in the telemarketing and OBO industry. In early 2013, indicted businessman Jeremy Johnson said that Swallow facilitated a bribe between Johnson and Sen. Harry Reid, D-Nev., to derail a federal investigation into Johnson’s OBO business, which the Federal Trade Commission says has defrauded hundreds of thousands of Americans out of $275 million. Swallow adamantly defended his innocence of the charges, which are being investigated by two Utah district attorneys who are working with the FBI. He did offer some regrets about the people involved. “There are some people I wish I’d never met,” Swallow said, possibly referring to Johnson, who, according to a former business partner of Johnson’s, also gave Swallow a bag containing roughly $20,000 in early 2010. “You just don’t know at the time if the people you are dealing with are going to have serious problems,” Swallow said. But it may also have been a reference to Marc Sessions Jenson, who, in 2009, was convicted of securities fraud and courted Swallow and his predecessor, Mark Shurtleff, at a posh California resort that summer, when Swallow was working as a fundraiser for Shurtleff. 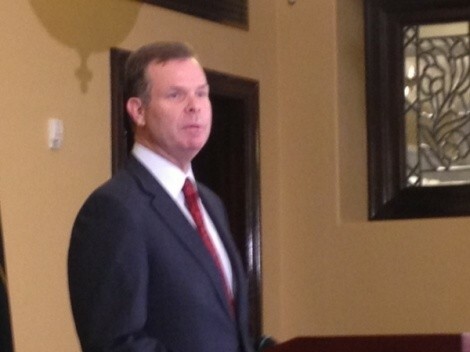 Swallow said his resignation was not prompted by a forthcoming report by the Lieutenant Governor’s Office that, according to media accounts, will recommend civil action against Swallow and call for a judge to vacate Swallow’s election because he knowingly failed to report business interests and revenue on his 2012 candidate application form. Swallow said that he has never seen the report and that he decided with his family on Sunday to resign. The House Investigative Committee’s Swallow probe is still active, as is a state bar complaint and an investigation by two district attorneys, aided by the FBI. Swallow will serve until Dec. 3, when his office’s general counsel, Brian Tarbet, will take over as acting attorney general. The Utah Republican Party’s State Central Committee will hold a meeting Dec. 14 to nominate three candidates for the governor to select from to appoint as attorney general. 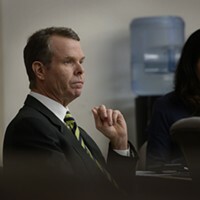 The Utah Democratic Party has already announced that it will file a lawsuit, if necessary, to ask a judge to consider the request in the as-yet-unseen lieutenant governor’s report to vacate Swallow’s election. If the election were vacated, it would force a special election—essentially, a do-over election between both parties to decide the new attorney general.